Like ginger ale, ginger beer can help settle your stomach when you feel nauseated or experience indigestion. According to Phyllis A. Balch in “Prescription for Herbal Healing,” clinical studies have shown that ginger relieves nausea better than over-the-counter drugs such as Dramamine. 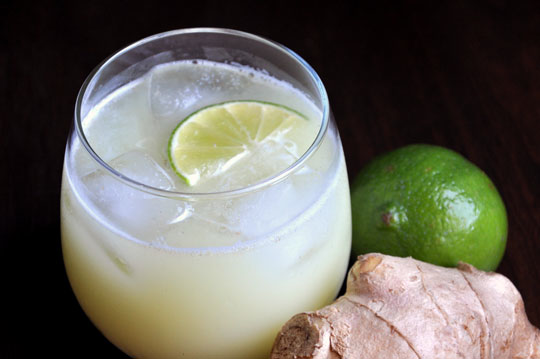 If you’re pregnant, non-alcoholic ginger beer can help banish a.m. queasiness. According to Penelope Ody in “Herbs for a Healthy Pregnancy,” morning sickness affects women between the fourth and fourteenth weeks of pregnancy, although the nausea can strike at any time of day. Hospital trials testing ginger’s efficacy have been done using up to 1 g of ginger; most home remedies fall well below this dosage level but still seem to work. Ody suggests using crystallized ginger, ginger ale or ginger beer. If you suffer from rheumatoid arthritis, ginger beer may be able to help relieve your painful symptoms — as long as it’s made with real powdered ginger root. In “Ginger: The Genus Zingiber,” R. Remadevi, E. Surendran and P.N. Ravindran note that several Australian arthritis treatments contain 500 mg dried ginger, while two studies in the late 1980s and early 1990s revealed that a supplement of 3 to 7 g of powdered ginger given for 56 days reduced the pain and swelling in patients diagnoses with rheumatoid or osteoarthritis. According to the authors, scientists believe ginger’s anti-inflammatory properties can inhibit prostaglandin release. According to Ann M. Bode and Zigang Dong in “Herbal and Traditional Medicine: Molecular Aspects of Health,” ginger root contains a “very high concentration” of antioxidants. Only pomegranates and berries top ginger in terms of antioxidant power, he notes. Packer adds that scientists are working on a way to produce a ginger extract that also has a high antioxidant concentration; however, it’s best to stick with beer made with real ginger root or dried ginger to ensure you’re getting the maximum amount of antioxidants. Pour in one cup of sugar and a quarter of a teaspoon dry yeast. Mix well. Add two spoonfuls of ground, dried ginger and the juice of one lemon (or lime). Close the bottle and mix well until the sugar is dissolved. Fill with water but not to the top, leave the last 4 fingers free. Close the bottle firmly and leave for 24-48 hours in a warm place to ferment. 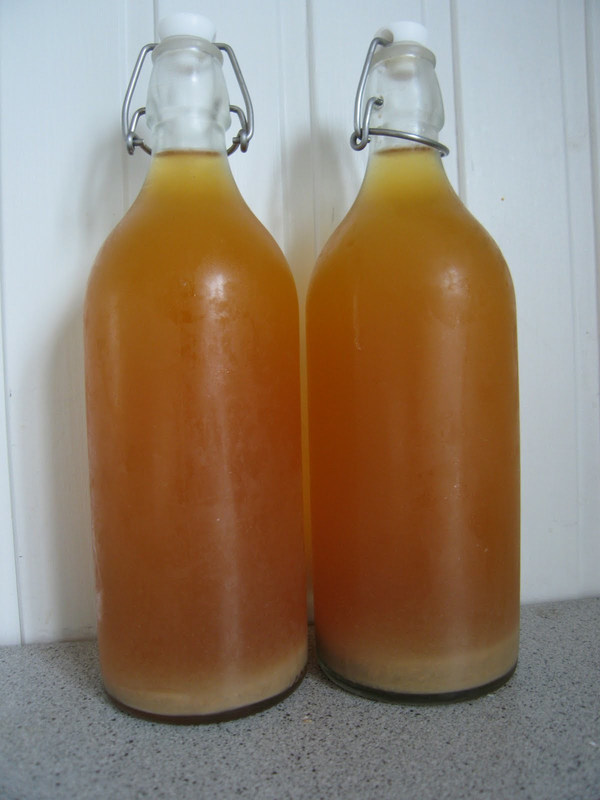 Ginger beer produces its own CO2! The ginger beer is ready when you can’t squeeze the bottle. Put it in the fridge and when it’s cool transfer it to another bottle, using a strainer filled with cotton to filter it. You can keep it in the fridge for a month. Enjoy! Halve 2 lemons and put them into a large stainless­steel bowl with 50g grated fresh ginger, 2 whole cloves, 2 tsp cream of tartar and 200g sugar, then pour over 2.5 litres of boiling water. Leave to cool until it’s hot enough for you to be able to hold your finger in, then pour in a sachet of dried yeast. Cover with clingfilm and set aside overnight. Strain through muslin, then pour into clean bottles and screw on the caps. It should ready in 2 or 3 days. Whatever you do, don’t overfill the bottles unless you want a ginger beer explosion in the cellar. Use spotlessly clean bottles or jars, and open the screw cap once or twice to let out the gas. Make sure your ginger is new and firm so that it still has all its hot, citrus notes. Don’t try and keep this beer for very long – it loses its fizz after a while. To make your beer even more refreshing, tuck in a handful of lemon verbena leaves or a few sticks of bashed lemongrass. Suddenly the most old­fashioned drink will have a modern twist, a spritz of freshness. The original recipe requires only ginger, sugar, water, lemon juice and a fungal-bacteria symbiote known as a ginger beer plant. Fermentation over a course of 14 days plus, turns the mixture into ginger beer. Ginger beer plant (GBP) is not what is usually considered a plant, but a composite organism consisting of a fungus, the yeast Saccharomyces florentinus (formerlySaccharomyces pyriformis), and the bacterium Lactobacillus hilgardii (formerly Brevibacterium vermiforme), which form a symbiotic colony of bacteria and yeast (SCOBY). It forms a gelatinous substance that allows it to be easily transferred from one fermenting substrate to the next, much like kefir grains, kombucha, and tibicos. 1st – in a small glass jar place: 1 1/2 cups purified water, 2 tsp sugar, 2 tsp ground ginger powder. Then feed the ginger bug- (GBP) everyday for seven days+ (2 tsp of sugar and 2 tsp of ground ginger). 2nd – After this is done, get a gallon jug or larger w/lid and add: 3/4 cup sugar, 4 lemons, 1 gallon purified water, and your finished Ginger Bug- (GBP). (Be sure to leave room at the top of the container due to carbonation). Leave to ferment for an additional 7 days (or more). You’ll know when it’s ready by full carbonation gas bubbles. It’s ready to refrigerate! (at this point transfer to small glass bottles w/removable caps & store in fridge). I personally will not use BPA plastic, but plastic bottles are an option you may use for convenient purposes. 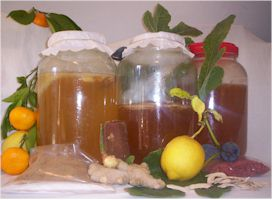 3rd – After pouring the contents into smaller containers, you are left with the original ginger bug scoby- (GBP) from the gallon jar and you may start a new batch from this all over again. I make kombucha,could I just add ginger to it? Thanks in advance, I am now following your blog!